Just a couple of months after providing a first kick of Windows 8 Consumer Preview version, the company is once again back with the new step towards the release of the Windows 8 OS: The Windows 8 Release Preview. Yupp…you heard it correct. The company has finally launched the final pre-release version that contains Windows 8, Internet Explorer 10, and many new applications such as SkyDrive, Hotmail, Wikipedia, Sports, & other updated ones available in its Windows 8 App Store. Although, the final pre-release “Windows 8 Release Preview” version was supposed to be launched somewhere in June, however, Microsoft has apparently disclosed it ahead of its schedule. This latest Windows 8 release preview is available in 14 different languages for download. The overall interface and looks are just the same — the metro-touch tab interface. Well, I personally, have never found much problems while working with Windows 8 Consumer Preview, but now it feels like things are smoother and faster in the updated Windows Release Preview version, especially when you jerk between the apps. Yeah…Microsoft has updated its Windows 8 Store and added many new amazing apps for its users. 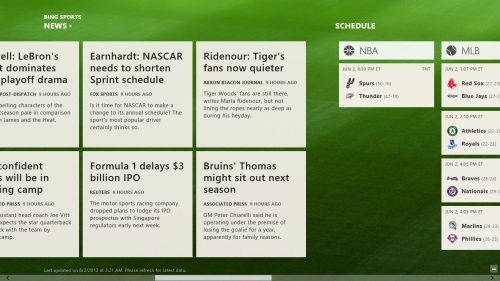 Its a complete new addition to the Windows 8 Release Preview version that lets you follow your favorite sports teams. 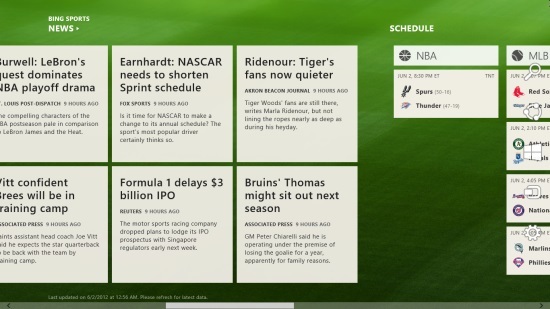 As you enter the Bing Sports app, it will display the top stories. As you scroll further at the right, you will find Bing Sports “News” followed by “Schedules” and “Favorite Teams”. Click on “+” sign to add your favorite teams. 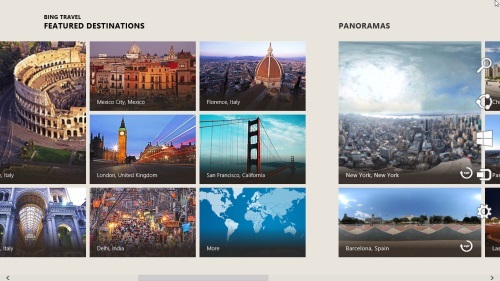 With launching a complete travel guide in Windows 8 Release Preview version, Microsoft has made it easier to plan a trip and to explore the world right at you desktop. As you enter the Bing Travel App, you will be welcomes with a whole set of featured destinations, along with a collection panoramic pictures, followed by articles related to travelling. As you select a destination, it will let you explore deeper including the introduction of the selected place, some photos, followed by Panorama images, the main attractions of the place, hotels to book, Restaurants, and guide to travel the destination easily. Bing News is very must like the Sports app. As you enter the main page, you will be welcomed with all top stories. Scroll further at the right will bring you top headlines in different categories, such as business. The News contains mixture of newspapers content and websites content. Well, the major change I found in the new Windows 8 Release Preview version is the addition of new Adobe Flash Player feature that facilitates with activities like video playing. Microsoft has created a built-in feature. The company working with Adobe to develop a Windows 8 version of Flash. However, it does not supports all the site. Microsoft will soon bring you a list of websites that sipports Flash effectively. For Example: YouTube is currently supported while Rdio is not. Other minor changes have been made as you compare between Windows 8 Consumer Preview and Windows 8 Release Preview, like the earlier settings charm “More PC Settings” will now be called as “Change PC Settings”. 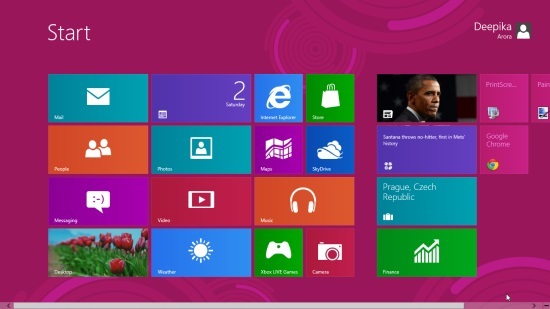 Download Windows 8 Release Preview and explore other amazing new options.